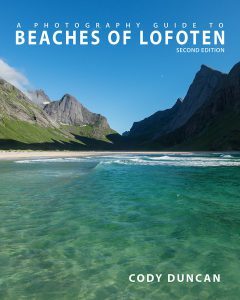 If there is to be a ‘Matterhorn of Lofoten,’ then this designation surely belongs to Skottinden. 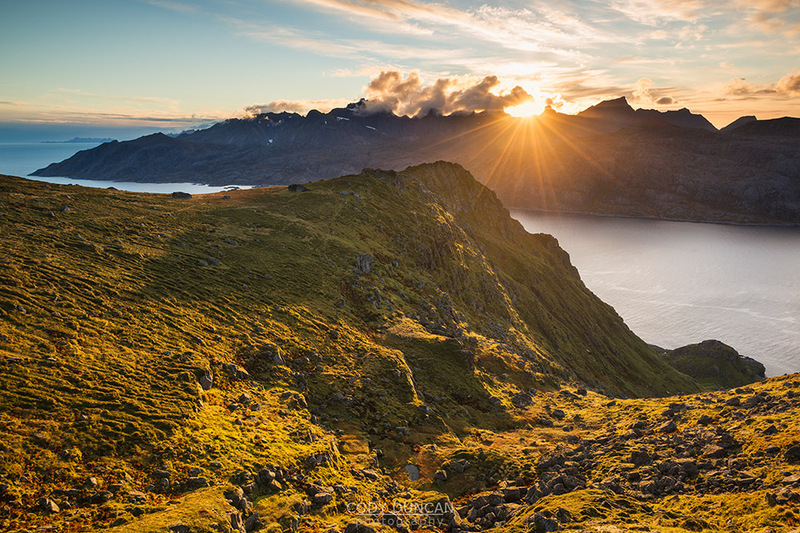 Rising from the southwestern peninsula of Vestvågøya, Skottinden is an imposing mountain peak rising high above the waters of the Nappstraumen. 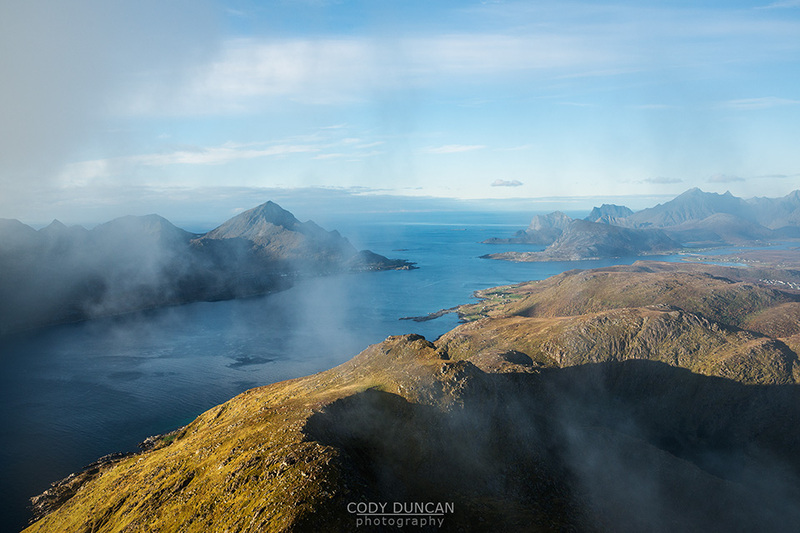 From nearly any point on Vestvågøya, the mountain is an eye-catching sight that begs for a journey to the summit by any adventurous hikers. While most of the route is little more than steep hiking, to reach the final summit requires some airy scrambles over steep rocks situated above the sheer cliffs of the east face. This final section may not be for the faint of heart or the inexperienced. 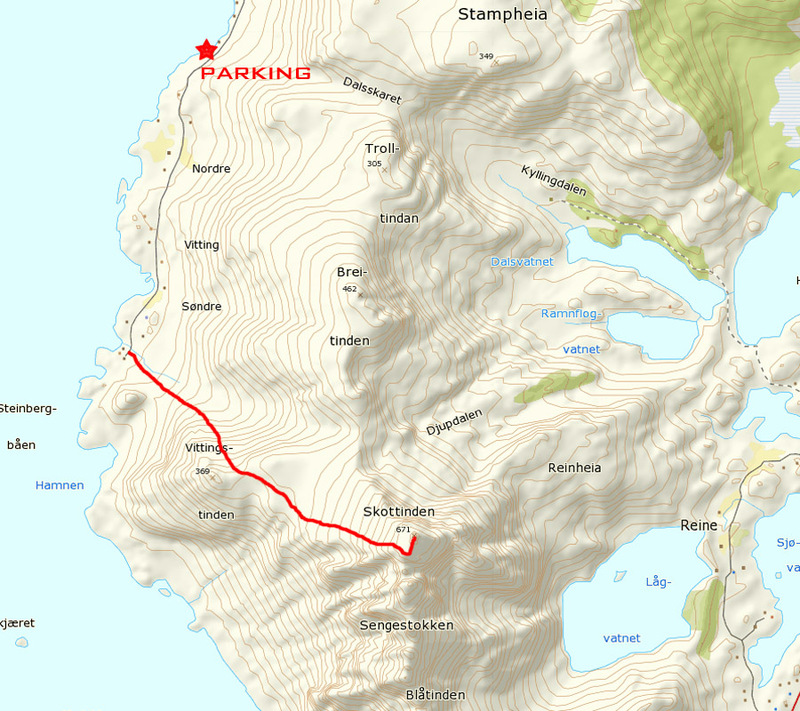 Getting to the trailhead requires a bit more street navigation than usual for the Lofoten Islands. 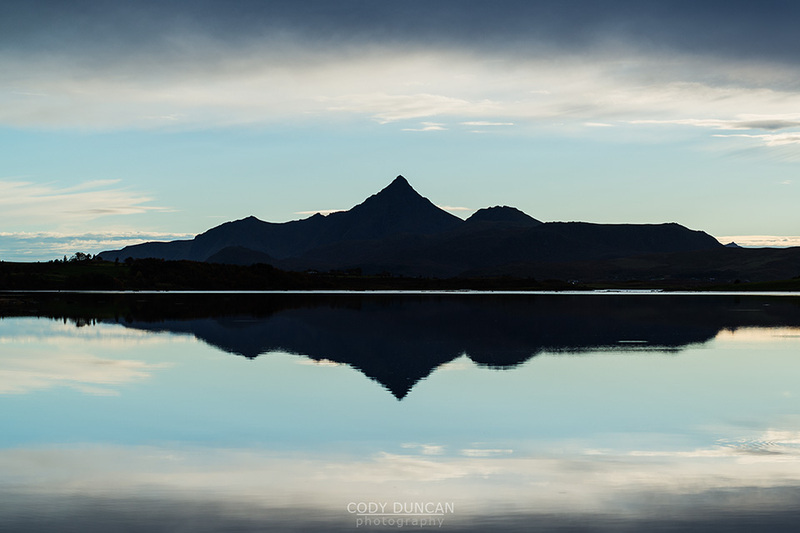 From any point on Lofoten, head towards Gravdal/Ballstad on the west side of Vestvågøya. On the road into Gravdal, turn right at the sign for ‘Gravdal sentrum.’ This will be a short road up a small incline. At the top/end of the road, turn right once again. You will now be on Gravdalsgata. Continue straight for 300 meters. Turn left at the large yellow building, Sundsveien. Continue straight down Sundsveien as it turns into an unpaved road. Keep to the left at the intersection with Haugveien (ie: don’t take that road) as you begin to head south near the coast. Continue for 2.3km down the small road and past the scattered houses until you see a small parking area on the right with an information board, just before a small gate. Park here. From the parking area, continue down the road for approximately 1.3km, when you reach the end of the road. Just before the fence for the last house (watch out for the dog) you will see a sign pointing to a trail on the left, this is the start of the hike. From here, you should just barely be able to see the summit of Skottinden rising in the distance. Take the trail through the fields, over the fence and towards the stone wall in the distance. The trail might fade at some points, but begin hiking up along the left side of the steep peak to the right of the gully, Vittingstinden (369m). If you cannot find a clear trail, it is also possible just to go cross country up towards the back up the gully, keeping to the left as you pass the steep rock bands near the top. 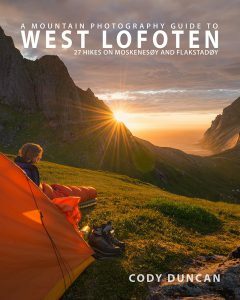 After 350 meters of climbing, you will reach a broad, flat plateau, Skottinden is now clearly visible directly in front of you. There is something of a maze of trails running around this area, but you will want to make your way to the right (south) side of the mountain. At some point you will see a clearly worn trail running directly up the mountain, just to the right side of a small creek. The trail now ascends the mountain steeply, gradually heading towards the right (south) side of the summit. After some 300+ meters of ascent the trail will meet with the summit ridge, 15-20 meters below the summit. This is where the hiking ends and the scrambling begins. Steep vertical cliffs will be on your right, with deadly fall potential. From where the trail meets the ridge, continue up towards the left to the first band of rocks. You will need to negotiate your way over the rocks, picking up the trail again on the other side (there is also a small ‘tunnel’ which may be possible for you to fit through; I didn’t quite, at least not with my backpack). From this point on, be cautious with each step. Soon you will come to another rock step to climb and then reach the summit (where the antenna is). There is an orange emergency box containing the summit register. Enjoy the views.